In a veiled reference to Pakistan, India said countries that are "apologists for terrorists" will continue to provide "alibis" justifying their actions and inaction, as it called on the Security Council to ensure crucial sanctions measures against the UN proscribed terrorists and entities are strictly enforced. The Security Council on Thursday unanimously adopted a resolution calling upon Member States to step up efforts to combat and criminalise the financing of terrorists and their activities. India welcomed the adoption of the resolution, describing it a "milestone" in global efforts to set up a normative framework to criminalise terrorist financing. India's Permanent Representative to the UN Ambassador Syed Akbaruddin, participating in the Security Council open debate on 'Preventing and Combating the Financing of Terrorism', said New Delhi specifically welcomes the recognition in the resolution of the essential role of the Financial Action Task Force (FATF) in setting global standards, especially in the context of preventing and combating money laundering, terrorist financing and proliferation financing. Akbaruddin, however, asserted that the Council "can and needs" to do a better job of overseeing the implementation of its resolutions relating to terrorist financing and of the various sanctions measures under the 1267 Al- Qaida and 1988 sanctions regimes. India warned that "non-compliance of crucial sanctions measures in case of the UN proscribed terrorists and entities renders all of us, Member States, at a high risk of facing challenges from these terrorist organisations who are well funded and armed despite international measures." "As the saying goes, the proof of the pudding is in its eating, the utility of any council resolution will, therefore, be in its implementation," he said. "Also, the unfortunate reality is that States who are apologists for terrorists will continue to provide alibis to justify their actions and inaction too, as was done by a serial offender earlier today," he said, a veiled reference to Pakistan. Pakistan's Ambassador to the UN Maleeha Lodhi, in her statement during that debate, said that it is important that the FATF and the 1267 sanctions regimes are "not used as political tools by some to advance their geo-political objectives." She also made a reference to Jammu and Kashmir in her statement. Akbaruddin asserted that the international community needs to be determined to "continue evolving our tool box and go by our rule book, rather than be distracted and stray from our determination. Our tool box consisting of effective implementation of UN sanctions measures could assist in curtailing these activities in some measure." Describing terrorism as a scourge that is tearing at the fabric of societies across the globe, Akbaruddin said it is a menace that is not quarantined to any region. "People now live in fear of terrorist threats in countries across the world. Combating Terrorism is viewed by many States and their people as one of the most fundamental security policy priorities that require global responsiveness," he said, calling the adoption of the resolution an answer to "a felt need." "The global community is impatient for action. The UN collectively needs to do more and do it much more effectively. For its part, India will be a willing partner in this endeavour," he said at the open debate convened by France under its Presidency of the Security Council for the month of March. Akbaruddin further highlighted that many Council resolutions, including the various sanctions measures under the 1267 and 1988 sanctions regimes, where asset freeze is a core part of states' obligations call for regular reporting under these measures. 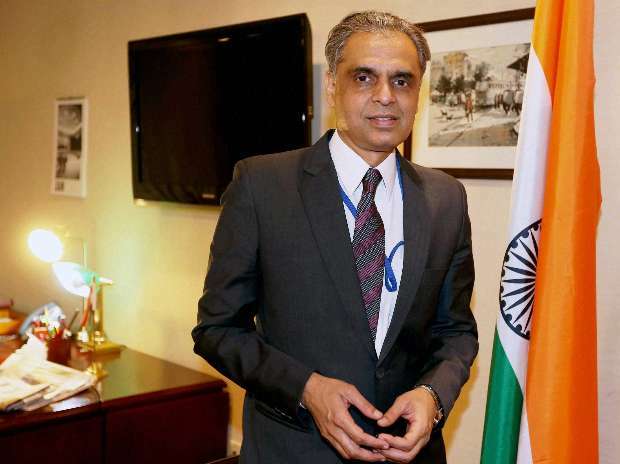 While welcoming the resolution's focus on ensuring full compliance with the measures imposed by the Security Council, Akbaruddin voiced concern that no effective action is taken on instances of reported non-compliance with the sanctions measures. He pointed out that the report of the 1267 sanctions Monitoring team dated January 15, 2019 notes that Member States have reported to the Monitoring Team, on an ad hoc basis and a comprehensive review of frozen assets has not been undertaken. He expressed hope that there will action on this front by member states. "We welcome the Council and its various bodies taking note and rectifying instances of non-implementation to enhance awareness and effective implementation of the various council resolutions on Counter Terrorism. We believe that this work could be strengthened with more cooperation between the FATF and the various UN entities"
"Bodies such as the FATF have listed risks posed by Da'esh, Al- Qaida, ?Jamaat-ud-Dawa, Falah-i-Insaniyat Foundation?, ?Lashkar-e-Taiba?, ?Jaish-e-Mohammed?, Haqqani Network, and persons affiliated with the Taliban," he added. By other terms of the resolution, all States shall in a manner consistent with their obligations under international law ensure that their laws and regulations make it possible to prosecute and penalise, as serious criminal offences, the provision or collection of funds, resources and services intended to be used for the benefit of terrorist organisations or individual terrorists. The resolution also calls upon Member States to conduct financial investigations into terrorism-related cases and to more effectively investigate and prosecute cases of terrorist financing, applying criminal sanctions as appropriate.